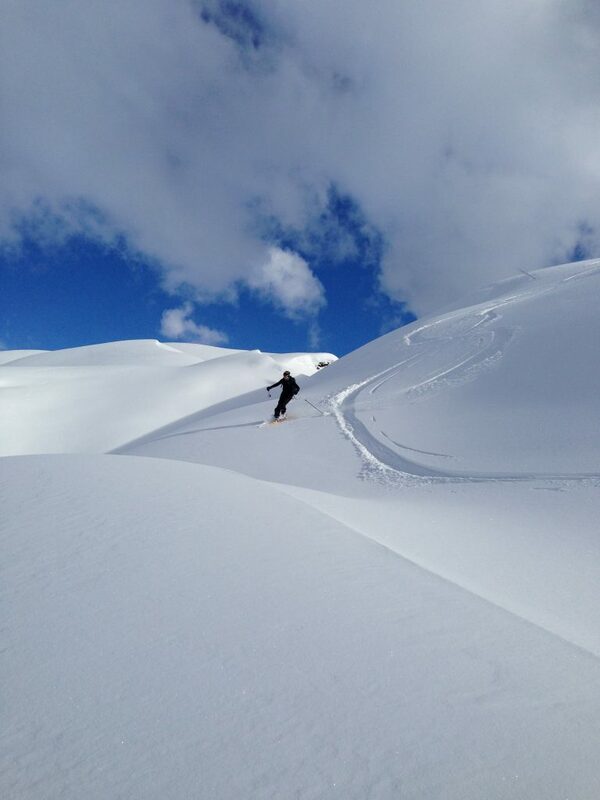 Whether skiing off-piste between the trees of the ‘magic’ forest in Argentière, or past the the turquoise ice walls of the glacier, feel the unrivalled pleasure of leaving fresh tracks on virgin powder snow. 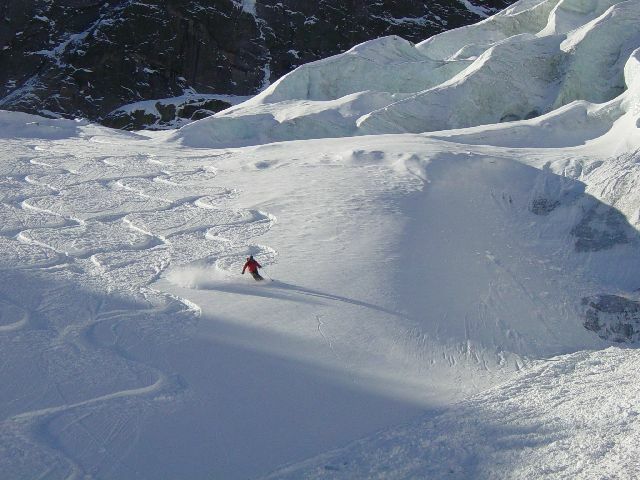 You will discover with KARIBOO ADVENTURE, superb ‘secret’ areas, known only to the locals of Chamonix. 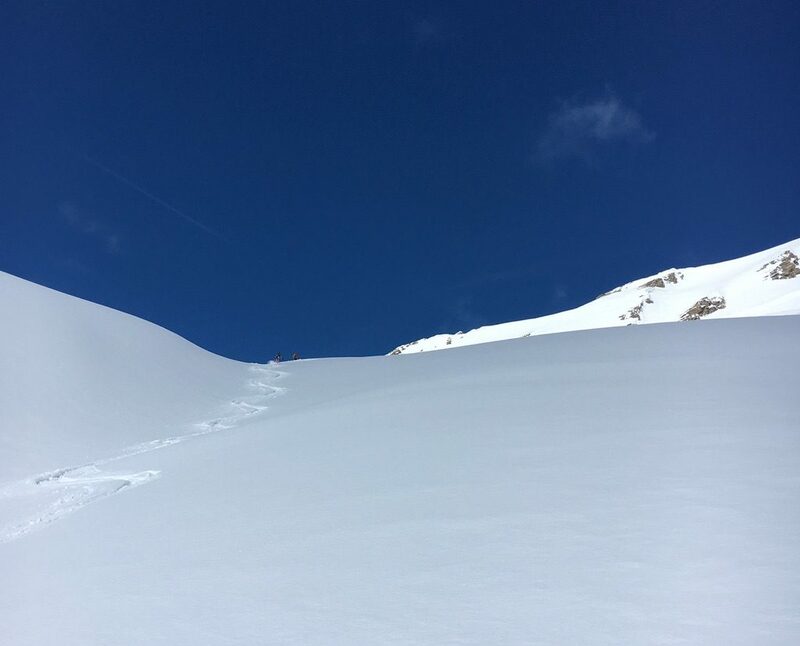 In France, every off-piste mountain guide who takes clients on or above the glacier level, even skiing, must have the prestigious UIAGM Carnet from the International Federation of Mountain Guides Associations. This qualification is the highest professional award attainable in mountaineering. James, not only has the Carnet, but was formerly “trainer for the trainers” for Off-piste skiing for the Fédération Française de Ski, so you will be in excellent hands! 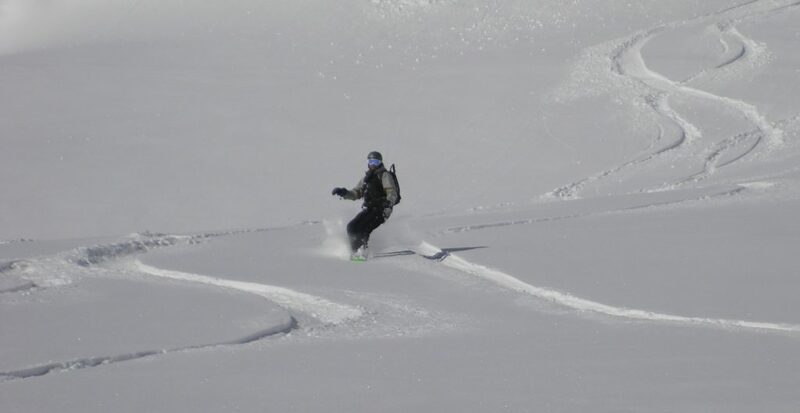 In addition, as James is also fully qualified as a ski instructor, if you are new to off-piste piste skiing, then there is no one who better to be learning off-piste skiing. If you take a full day off-piste guiding, there are options further afield than Chamonix valley – such as Courmayeur or Champoluc in Italy. 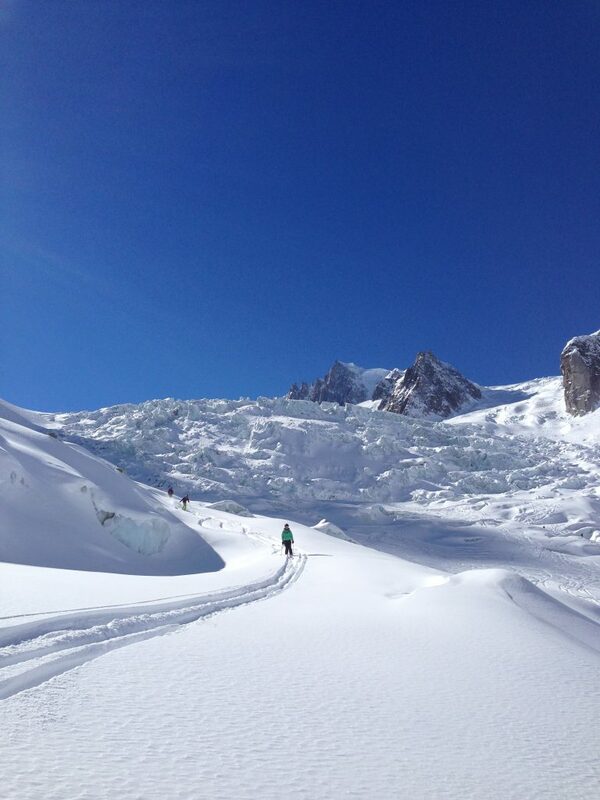 These are both superb locations to ski off-piste, plus they can receive different weather from the Chamonix valley. 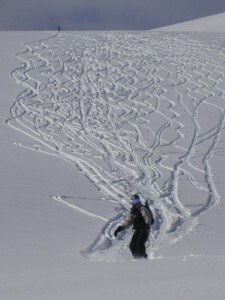 This means that you can benefit from not only being able to explore new areas, but also the best snow conditions available at the time.